IP Webcam sounds very promising, claiming to turn your smartphone into a fully functioning webcam. Our interest was piqued. If yours is too, let's find out if the app can really deliver in today's review. 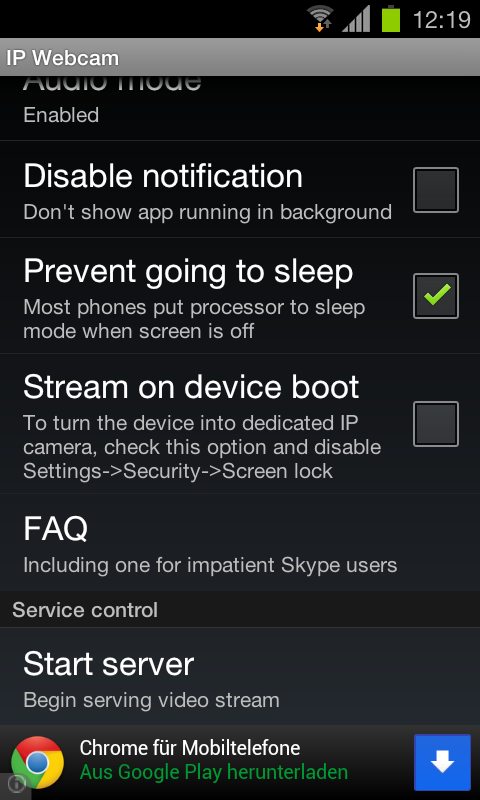 Start up IP Webcam and check out the main menu and the settings options. 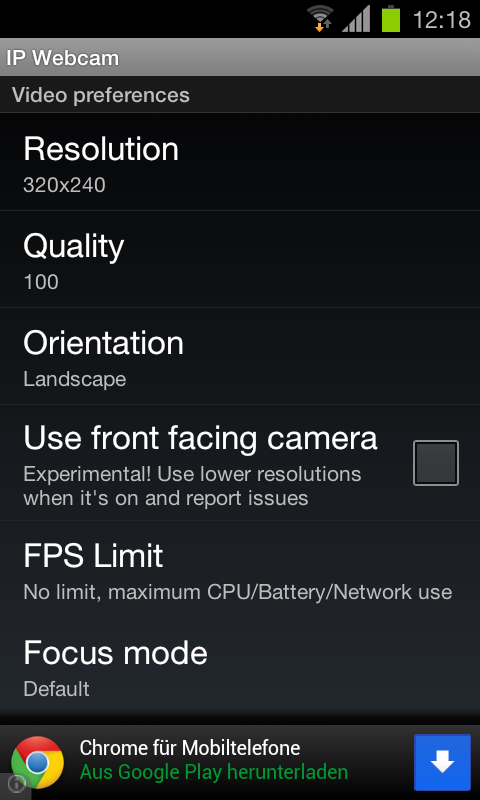 You can make changes to the resolution (no higher than 800x480 though), image quality, set an FPS limit (the SGS2 camera supports up to 30FPS according to the app), change to front camera or set up a special focus point. Check out the video options and then commence to the connection settings with your computer, including setting up an account and password in order to prevent others from accessing within your network. 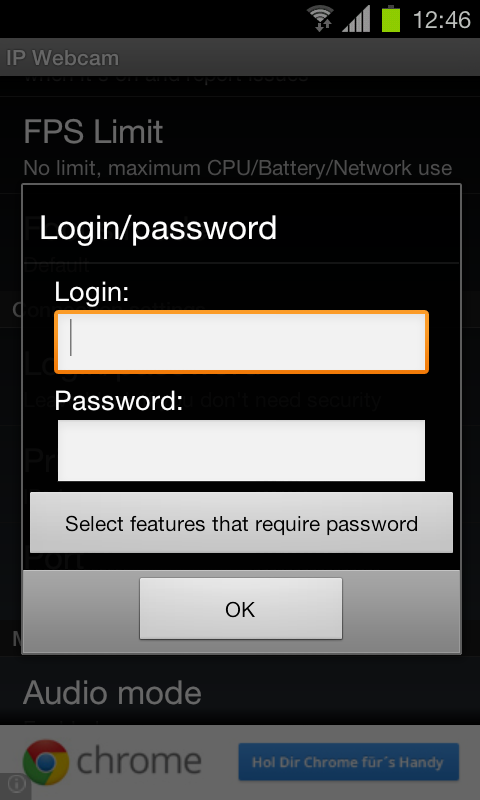 You can also choose between Ipv4 and Ipv6 and set the port (which is set to 8080). There are a lot of settings options available, so rejoice, techie geeks! Select whether you want audio or not and lots of other stuff. Then, finally, the “Start Server” button appears. Once you've located it, you need simply hit it in order to activate the camera. The IP address is displayed below, enabling every computer that's in the same network to access the webcam; all you need do to link in in this way is enter the address in the browser. Once you've got the page you can select if the webcam should open in Skype or the VLC player, for instance. Using the camera will vary slightly according to which option you choose to use it with, but instructions are provided and they're very easy to follow. Plus, once the camera has been set up it runs really well. Options galore: even whilst the app is in use there are still further adjustments possible, including readjusting the focus or light. Once IP Webcam has been set up it runs well. It even has a mic option. There only small drawback is more of an issue with the “morphology” of smartphones, which is that because they are so flat they are more difficult to physically set up than real webcams. But—man is inventive, as we know, and I trust that you'll find some sort of solution to this minor problem. There are lots of settings available for IP Webcam; the options are displayed in list form. You don't need to make many changes to the app in order to use it quickly and efficiently, seeing as the instructions listed in the browser and straight-forward. Overall I would say the controls are good and intuitive. There were a few minor bumbs and jerks along the way, but IP Webcam didn't crash and overall performed rather well during throughout our test runs. 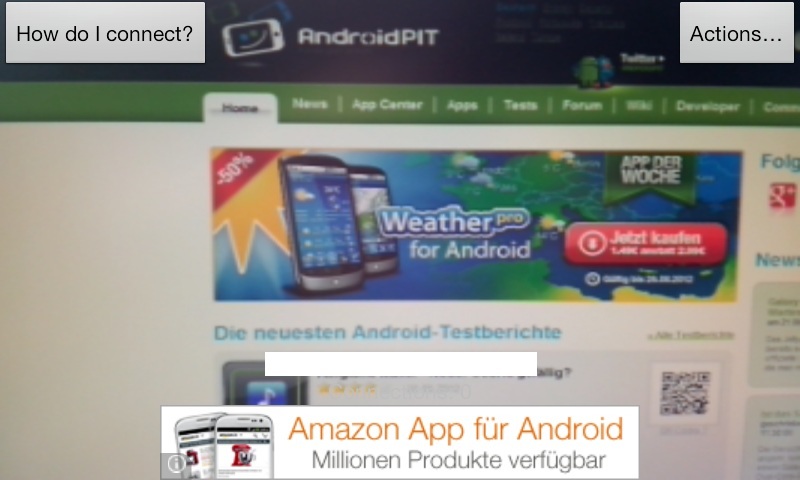 IP Webcam is free and the ads featured are very discreet (only within the menu and camera screen). Thank you for the awesome post. Loved it a lot. Visit some of the gaming sites to enjoy a valuable moment of gaming experience. Very practical to see what is happening through the courtyard of the house.